An investigation found three Chicago Department of Aviation security officers and an aviation security sergeant "mishandled" the incident. Two officers involved in forcibly removing a passenger from a United Airlines flight back in April have been fired. 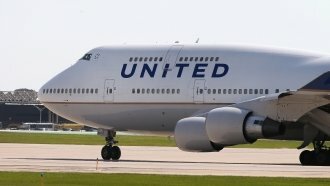 The City of Chicago Office of Inspector General announced Tuesday it found three Chicago Department of Aviation security officers and an aviation security sergeant "mishandled a non-threatening situation" on board that flight. Footage taken during the incident shows aviation security officers dragging Dr. David Dao off a plane at Chicago's O'Hare airport after the airline bumped him from the Louisville-bound flight. The Inspector General's Office said it determined the employees "made misleading statements and deliberately removed material facts from their reports." One of the security officers and the sergeant were fired, and the other two officers were suspended. After the findings were announced, Dao's attorney said in a statement, "It is unfortunate the conduct of these two City aviation employees has resulted in their losing their jobs." He added, "There is a lesson to be learned here for police officers at all levels." Dao, who was left with a broken nose and two missing teeth after the incident, initially planned to sue United. But he ended up settling with the airline for an undisclosed amount.